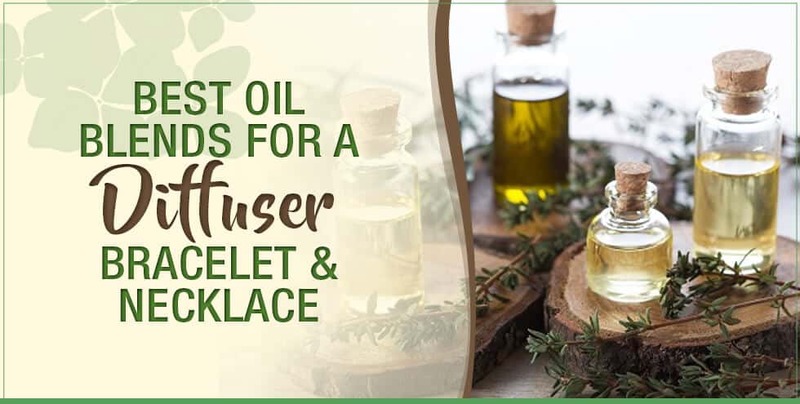 So you have a beautiful new essential oil diffuser or bracelet. Or you’re just doing some research before making a purchase. Now, you must know how to apply the oils to your new accessory. More specifically, which oils would be best to apply. 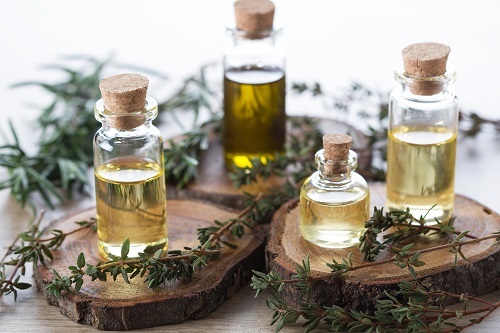 While there’s no perfect magical formula, there are some combinations of oils that do work better than others – all depending on the benefits you’re looking to achieve. Read on and discover our favorite five portable diffuser blends. 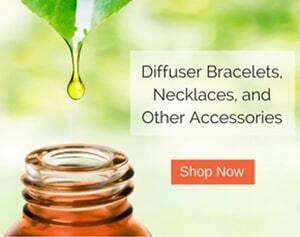 When it comes to essential oil diffuser jewelry, there are a few different styles to choose from. In terms of necklaces, felt pads are the most widely used. And while they certainly do the job, they won’t hold a scent nearly as long as lava stone diffuser necklaces. 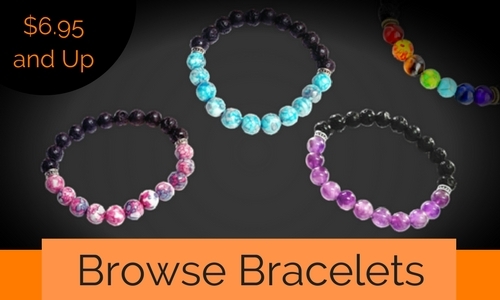 Meanwhile, the overwhelming majority of bracelets use lava stones to diffuse oils. You might see a different material here and there (like diffusable leather), most diffuser bracelets will have a string of black lava stones, with some colored beads sprinkled in. 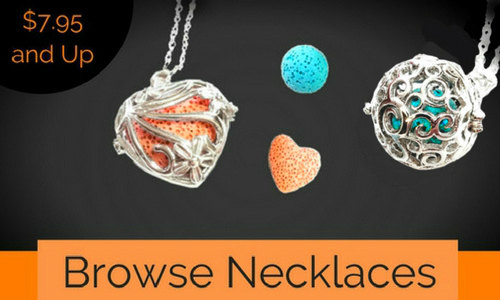 As far as lava stone necklaces, you’ll typically have a locket that holds a single lava stone. After applying your oil, you place it back in the locket and close the clasp. For bracelets: You can apply more than one oil to a single stone, but if you have a row of beads it’s ideal to apply each oil to a separate stone. For necklaces: With necklaces, you typically only have one stone to apply to. But that’s okay, because most likely it is a larger stone and you can apply multiple oils to the same stone. Before applying your second oil, turn the stone in a circular motion to let the oils seep in. Once the stone glosses over, go ahead and apply your next oil. Looking to add some new pieces to your diffuser collection? 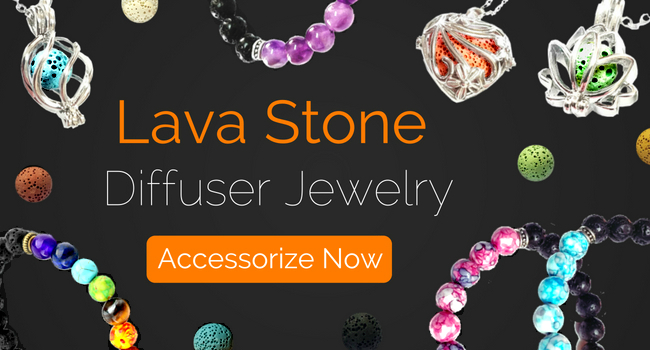 Check out our beautiful lava stone diffuser necklaces and bracelets.